When you first start out selling on Amazon, choosing your Amazon seller name probably isn’t one of those tasks you’d expect to spend much time on. It seems simple enough, right? The reality is, this can be much more difficult than it appears and something you probably won’t knock it out in 10 minutes or less. After brainstorming, you may have several great seller name ideas – but when it’s time to pick your final business name, you’re stumped! That’s completely normal because this is ultimately a big decision for your business. This guide will hopefully shed some light on how to pick the best name for your Amazon store. How important is your seller nickname? Does it really matter? Generally speaking, a business name, domain name and a brand name can be incredibly important. It all matters. So does your seller nickname. But the degree to which this matters can depend on the type of Amazon business you run. Which type of Amazon business model are you? There are several different business models when selling on Amazon. The business model you choose may end up having a big influence on the seller name you choose, and how important the name is for your business. 3rd party – Retail arbitrage: the exact same as above, except they don’t buy wholesale. Instead, they buy from local stores and take advantage of lower prices or sales from their local stores. Private label: Those who buy wholesale from China, but they self-brand those products (OEM/ODM). Unique products: Those who create or invent their own products, or possibly alter existing products to their specifications (ODM). For example, choosing a good name may matter more to those that have their own line of branded products. It could be that you are selling private label products or you’ve developed your own line of unique products. In these cases, you are essentially picking a brand name. On the contrary, a 3rd party reseller who sells a variety of other manufacturers products may have success using nearly any business name, as long as they keep their reviews high prices low. If you are a 3rd party seller, it is my belief that your name does matter, but only to a small degree . You should always shoot for a good sounding, professional name. But don’t get stuck in a paralysis by analysis in choosing your name. Just pick one and start selling! Remember you can always change your Amazon display name later. However, if you are a private label seller or creating a unique branded product, you may want to spend more time picking a good brand name. You also definitely want to make sure that the domain is available. 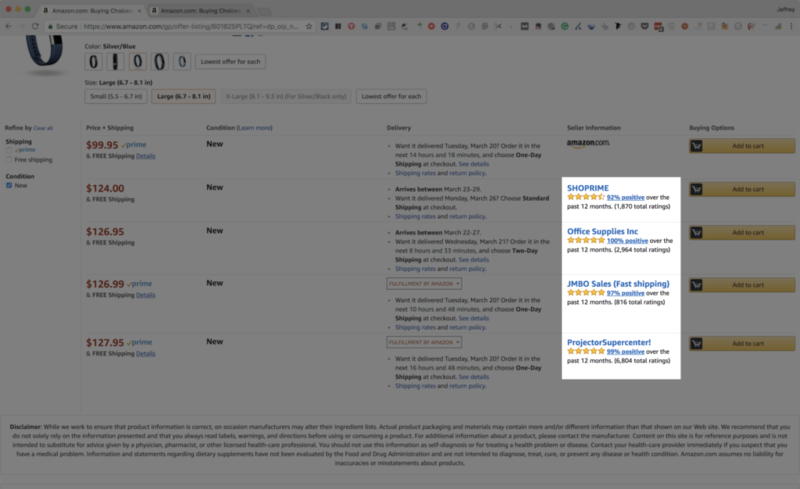 You may want to pursue other online marketing channels (like SEO/ Content marketing) to push your Amazon sales, in which case you would want to own the domain. If you sell the same products (repeat buyers): in this case, you could become a “Brand” to their repeat customers. This in effect, could contribute a lot to your success you can build your brand equity and earn repeat buyers. In general, when you are a 3rd party seller, many customers just look at the price, reviews of the seller, the condition of the item, and the description (plus pictures if available). Your name may not have much of an influence on these buyers. In fact, I personally don’t recall ever looking at the seller’s names when buying books from used booksellers. I tend to look at the price, condition and the reviews of the seller. With that said, it could be a slight turn off to prospective buyers if the name was shady sounding or unprofessional. So just pick a professional sounding name. Choosing a good name for your Amazon business will become much easier when you know what qualities your business. If you can describe your business and your business’ mission statement, your brand name for Amazon should be much easier to come up with. Keep it short and sweet: Ideally, you want to keep it short and memorable. If it’s more than three words, it could be too long. Make it unique: You want something memorable, and “Great Deals for You” doesn’t fit the bill. Be professional: Professional names stand the test of time. Names that use “text speak,” such as “Ur CD Shop,” look tacky. Domain is available: If someone has already registered the name as a URL or trademarked it, then you should find another one. I repeat. If the URL is taken, you may want to think twice . Implementing an SEO or online marketing strategy may not be very important at the beginning of your Amazon business, but as you grow it should be a channel you look into for the continued growth of your business. Should You use Keywords in your Amazon Name? There are two schools of thought on whether you use keywords and tie what you sell into your Amazon brand name. Using Keywords: The first school of thought is that you should use keywords. This may have a little bit of influence on the Amazon SEO side of things. If you use important keywords in your seller name, potential customers may be able to find your products more easily. It also ensures that your name tells people something about your brand. Future Proofing your Amazon Business: The second school of thought is that you shouldn’t base your brand name on the keywords associated with the products you sell. This is because it’s very common to start out in one niche or line of products and change your product offering through the evolution of your business. If you choose the name “Stylish Sports Gear,” and then decide later that you want to start selling kids toys, your name doesn’t work anymore. I wouldn’t say it’s absolutely wrong to use a name that references what you sell, but I prefer not to. I’ve heard this same advice with creating a business entity (like an LLC). If you create a specific LLC about selling books, but then you got into a completely different business, you would probably regret not originally choosing a name that is broader. That’s why a broad, nonspecific LLC name is usually the way to go. The same goes for your seller nickname. You just never know what direction your Amazon business will take. Forecasts are wrong. Trends die. New trends arise. Times change. Your product offering may very well change over time. That’s the mark of a successful business anyway right? We constantly pivot until we reach success. Your product lineup could definitely change in the future. For these reasons, it’s usually best to choose an evergreen or non-niche specific brand name . In fact, many of the household brand names are broad, recognizable names. Look at some of the most common household names; they don’t tell you anything about what they sell – Amazon, Target, Barnes, and Noble, etc. Generic, boring names: The biggest mistake you can make is choosing a generic name. For people to remember your business, you need something that sticks in their mind. Note that there is a difference between boring generic names and good broad names. Gimmicky or weird: Although unique is good, gimmicky and weird are not. A mix of letters and numbers: Mashing together letters and numbers or using strange word combinations are both bad ideas. Words with negative connotations: Be careful about any name that could have a negative connotation. This includes names that toe the line in terms of being appropriate and names with negative words in them. Say you choose the name “Carl’s Killer Deals.” Even though “killer” is a positive in that sense, it has an immediate negative vibe that can put off potential customers. Once you know what to do and what not to do with your brand name for Amazon, the final step is going through the brainstorming process. You can do this with mind mapping software, simple notebook apps, or pen and paper. I like using a pen and paper because I feel that it helps with creativity. So grab a notebook and start writing down any words and combinations that could make a good name. I recommend doing this first before using the tools below so that you can start thinking of new names from scratch. Then once you have come up with as many names as possible, try out the name generators below. 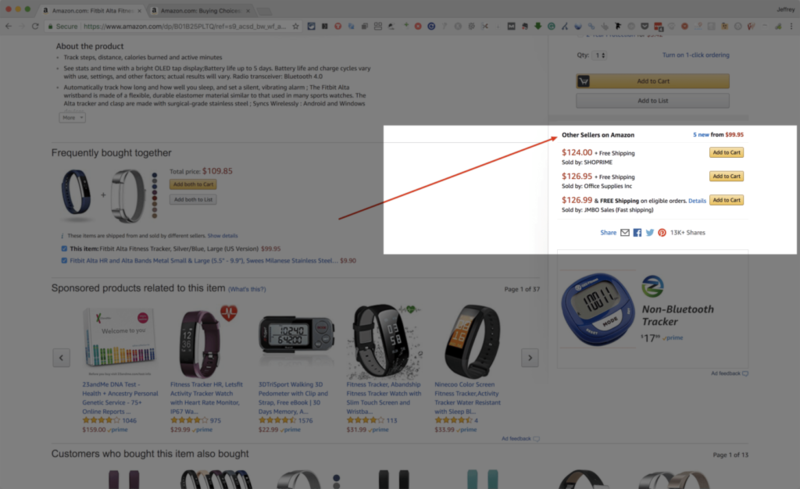 You can plug in some keyword or amazon display name ideas and get tons of new options. These can be a fantastic way to “connect the dots” and go from a rough idea to a memorable name. After you’ve tried the online name generators for your Amazon name, come back to your list and start adding more names to it that you got from these tools. 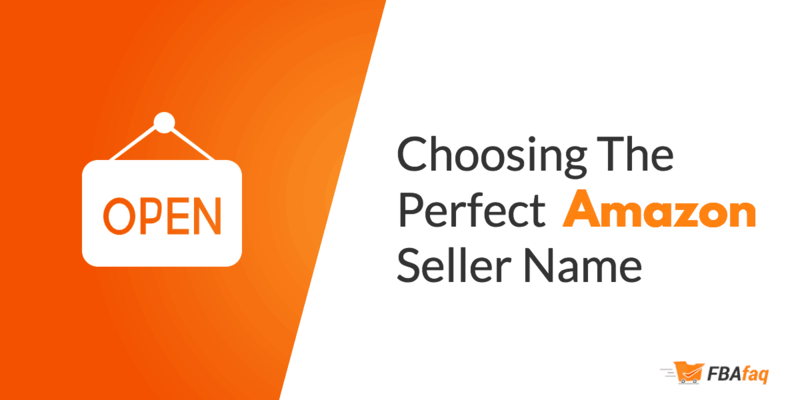 Then it’s just a process of elimination until you pick your perfect seller name! It may help to see real examples of Amazon Seller Nicknames. The following are actual examples of businesses I found on Amazon. I chose two popular categories – Fitness and kitchen. 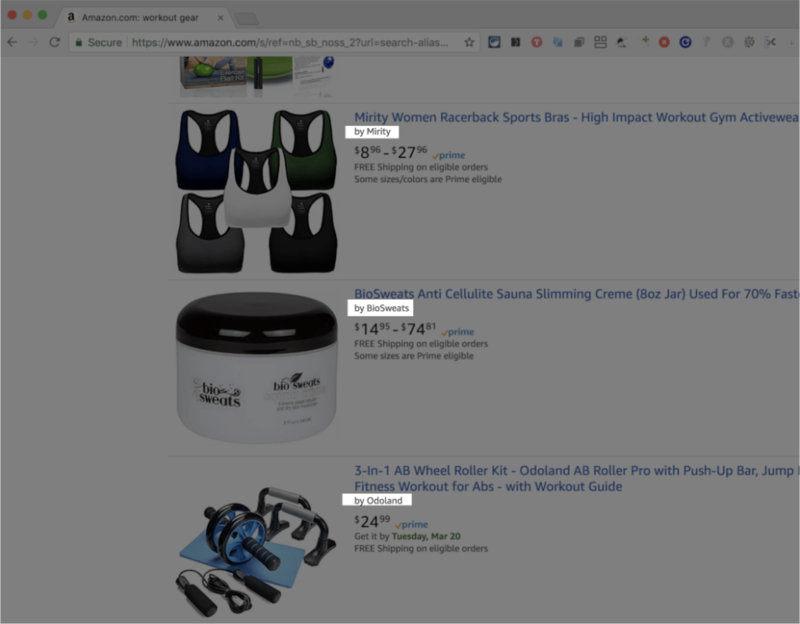 It may be a good idea to browse popular products in your business’ niche to get a feel for the brand names on Amazon in your industry. Note that the following examples are not what I think are the “best” names out there. These are just a collection of sellers I saw on page 1 page for particular products in each niche. 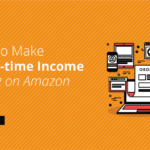 With the info above, you’re ready to figure out the name you’ll use for your successful Amazon business. The most important advice I can give you is to be patient. If you have several brainstorming sessions and are patient, you’ll eventually come up with a name you love. The trick is to pick a few Amazon display names you really like. Ask friends and family what their first emotional or intuitive reaction was to each name. Then once you have a list, and reactions from friends, step away from the list. Forget about it for a while. Just live your life. Then come back and look at the list of names with a fresh mind. You will find that your subconscious has done some work behind scenes, or maybe it’s just easier to come back with a fresh outlook. Things will begin to look much more clear and you be able to pick the perfect seller name. 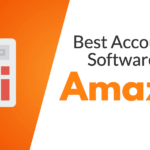 What is the Best Accounting Software for Amazon FBA Sellers?